Hugless Douglas has woken up hungry but all his honey is missing. Following the sticky trail of honey footprints, he finds the sheep have taken it so they can bake honey cakes. Douglas is still hungry but he likes honey cakes so he helps. Will Douglas get something to eat when all the messing around is done? Will he try something new. Fun, familiar characters for those who’ve read other books from this series. Easy to understand text, accompanied by fun illustrations. Douglas is helping Flossie find her best friend, as they search he realised everyone else seems to have a best friend and Douglas decides he would like one of his own. Feeling a little sad he he starts to think about it all and wonder why he doesn’t have one. Maybe though for Douglas the answer is right under his nose, even if it isn’t the answer he was expecting. Hugless Douglas books are great. Douglas is just a wonderful character who has an incredible spirit, his stories are of family and friendship, they are warm and inviting. The illustrations a bright and welcoming. Together the whole package is a real joy to share with little ones. When the Scallywags ruin yet another thing, this time a group photo, everyone decides that maybe it is time to stop inviting them places. The Scallywags miss their friends, so they put into place a plan. They follow their friends around in secret to find out how they should behave and they practice their manners very hard. A delightful tale about fun and friendship. Accepting others for what they are and trying to do the right thing. Melling’s characters are a lot of fun. 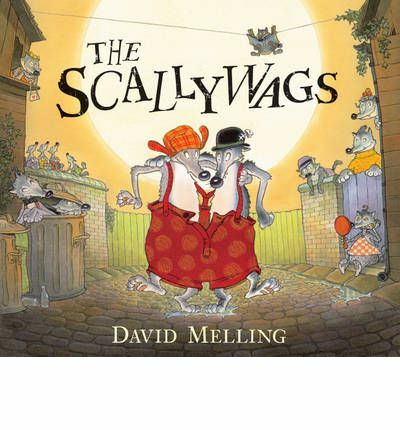 The story is entertaining and the illustrations convey the joy of life the Scallywags have. A thoroughly enjoyable read. Douglas is ever so excited, he is going to Rabbit’s for a sleepover. He is all packed. Along the way a few others are invited, Rabbit doesn’t mind, but how will everyone fit into Rabbit’s place? They push, they pull and they dig. 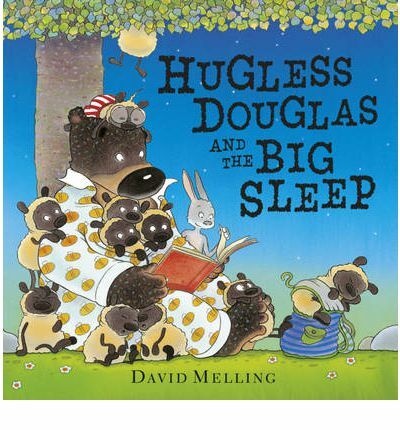 It is not looking too good, how will Douglas and everyone else ever get to sleep? 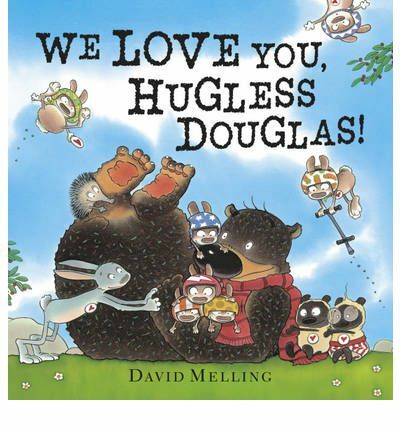 An adorable addition to the Hugless Douglas series of picture books. Douglas is a wonderfully innocent and open character. The illustrations are instantly recognisable and warmly appealing. The stories are fun and entertaining. Every child’s bookshelf should have at least one Hugless Dougless book on it. Who wouldn’t want to spend time with Douglas?